Its more recent roots go back to the founding of Boulevard Brewing Company in 1988, but it can be traced much further back to the many pre-Prohibition breweries that called Kansas City home. In fact, in 1881 when Kansas voted to “go dry,” the so-called “wettest block in the world” could be found on 9th Street from State Line Road to Gennesse St. Twenty-three of the twenty-four buildings in this span were either saloons or liquor stores, largely serving the workers from the rough and tumble stockyards in the West Bottoms who had to jump the state line to quench their thirst in Missouri. To this day there are still rumors of speakeasies hidden in the old warehouses in the West Bottoms, with special signals alerting those “in the know” to when the taps are running. If you can find out where they are, you’ll have to know the secret knock, though! For those of us who aren’t privy to the city’s secrets, there are still plenty of places to quench your thirst. Boulevard Brewing Company is Kansas City’s best known brewery, distributing almost two dozen mainstay, seasonal and special Smokestack Series beers throughout the United States. The tasting room is a wonderful event space with a huge deck that looks over the downtown skyline, and the brewery can easily be seen from I-35, especially at night when the giant sign is lit up. Boulevard Wheat and Pale Ale are their best known beers, but no one should miss sharing a 750ml champagne-style bottle of Dark Truth Stout. Brewery tours can be had most days of the week and are a great way to see how the process of brewing works from beginning to end. 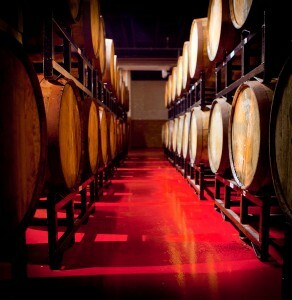 They fill up quickly, so make sure you book your tour well in advance! The Kansas City area is also rich with microbreweries, brewpubs (where food and beer are made) and a plethora of “gastropubs” (restaurants specializing in great food and serving beers that are not made in-house). Daytrippers will not want to miss Weston, MO, about 35 miles northwest of Kansas City. It’s a great place for antiquing and browsing the small shops downtown, as well as taking in a few winery visits. The crown jewel of a trip to Weston is visiting O’Malley’s Pub, which is housed in the underground lagering “caves” (lagers are beers that are fermented at colder temperatures, hence the need for caves or cool underground storage facilities) built by Weston Brewing Company in the 1840’s. After almost 170 years of changing hands, Weston Brewing Company is still producing beer for the Midwest market. O’Malley’s is well known as the place to go to hear great Irish music and is frequently the stopping point of many nationally-known acts. Also north of Kansas City is Doodle Brewing Co., producer of Doodle Dubbel, a traditional Belgian “Abbey” style of ale with sweet raisin, dark fruit and toffee notes. North Kansas City is home to the newly minted Big Rip Brewing Company, which is sure to gain quick popularity as both an event space and microbrewery. You heard it here first! 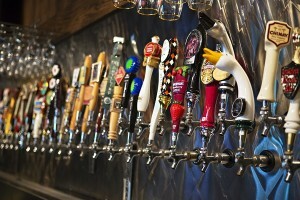 Kansas City’s epicenter of beer culture is in the Midtown area. 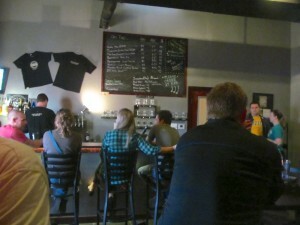 The Waldo neighborhood is home to 75th Street Brewery, a brewpub that has won several medals in brewing competitions for their Possum Trot Brown Ale and Royal Raspberry Wheat. Waldo Pizza is just down the block and has not only great pizza but a well-loved tap and bottle selection with great local beers as well as a world class selection of brews from all over the country. No beer enthusiast should miss the Westport neighborhood, either, especially the corner of Pennsylvania Avenue and Westport Road. McCoy’s Public House serves great food with a nice selection of their own beers and creative seasonal and specials rotating through the taps regularly. McCoy’s also hosts gourmet beer dinners, featuring carefully constructed menus with each course being paired to the ideal beer to complement it. The Foundry, just next door to McCoy’s has a wonderful menu, a lively atmosphere and one of the best beer selections in the city. Not to be forgotten, Beer Kitchen is a gastropub across the street from the Foundry and McCoy’s with a carefully selected tap and bottle list and a decadent food menu. With Kelly’s Westport Inn (housed in the oldest building in Kansas City) occupying a corner of this intersection, it’s easy to conceptualize the shortest, greatest pub crawl ever! Beer lovers who visit the Power & Light District downtown near the Sprint Center will find their home away from home at the Flying Saucer Draught Emporium. With dozens of taps and well over 100 bottles to offer, it’s very easy to while the night away and try beers from every corner of the world without having to move from your seat.